I offer group and prvite classes in Kundalini, hatha, and yin yoga. I combine yoga practice with the wisdom I’ve opened to through energy healing and shamanism, using yoga to take guide us deep into the places in which we hold blockages. 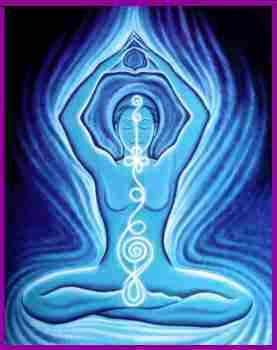 I prefer most to teach Kundalini yoga, as this style has allowed the strongest results to happen in my own practice. Kundalini yoga combines hatha yoga asanas with very powerful pranayama (yogic breathing), mantras, body locks, internal mental focus, and most importantly, an intention to focus on the Divine. I teach Kundalini yoga in the tradition of Yogi Bhajan who spread this powerful technology around the world. The yogic scriptures state that one year of Kundalini yoga is equivalent to 16 years of hatha yoga practice! For opening up spiritually, there is no yogic technology readily accessible to the masses that is more effective than the kriyas and meditations shared by Yogi Bhajan. During Kundalini yoga it is normal to feel tingling, heat, emotional blockages surfacing… in practice we allow ourselves to experience whatever we experience and continue to push through temporary pain with a focus on our third eye and God. Each set will give you an experience of your true Self if you allow it to. For those interested in healing specific blockages stored in muscles, fascia, and bones, hatha yoga poses may prove more helpful for those aspects of healing, so I offer hatha and yin yoga for that end, or for those who do not feel called to experience Kundalini yoga. I sometimes combine yoga class with some of the other healing practices I do. My Reiki Master taught me to teach yin yoga classes and do hands on Reiki healing with students in yoga poses which is a very powerful way to relax deeper into the pose and allow more healing energy in. I also have taught Kundalini yoga classes combined with cacao ceremonies. Cacao is energizing, focusing, and anti-inflammatory and can bring an extra level of focus to difficult yoga sets. The powerful breathing of Kundalini yoga paired with the heighted blood flow cacao provides creates an incredible state of heightened awareness, guiding many into spiritual expansion and bliss. Contact me if you would like to schedule a group or private lesson, or if you would like me to come to your area to make it possible! My email is dreams@riseup.net.